A hiker boot is a AW essential this season! Featuring a chunky style sole, these are an absolute wardrobe essential that we know you need to have! Whether you're looking for an original taupe colour to add to your collection or playing it safe with a basic black, we have got you covered. Whether you are a no detail kinda girl or a heavy metal feeler, we have got the boots for you! 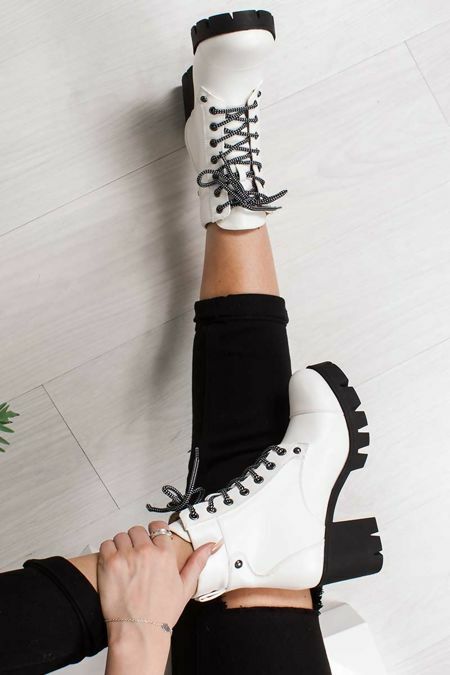 Hiker boots are a serious must have this season, teamed up with jeans or a denim mini skirt, we know you have got the style to kill this look!